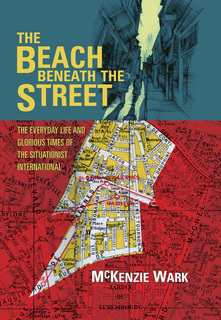 This is a book that does something with the legacy of the situationists and International Lettristes, best known today (at least in the UK) for the ‘invention’ of psychogeography. It offers over that legacy as something to be used, something that isn’t only there for the purposes of contempt or high theory. Indeed it exemplifies a practical low theory: it is gossipy, full of stories and, most importantly, it explains why a handful of European revolutionaries, slackers and artists, active from the 1950s to 1970s, arrived at certain strategies and tactics that can still be stripped down, cleaned and reloaded. … and no confusion here with flâneurie – this book is the perfect riposte to those, like Merlin Coverley and Rebecca Solnit, who have sneered at the political dérive in the name of woolly or literary wandering.